Discounted due to little sun browning to the Bakelite. I very well priced telephone. 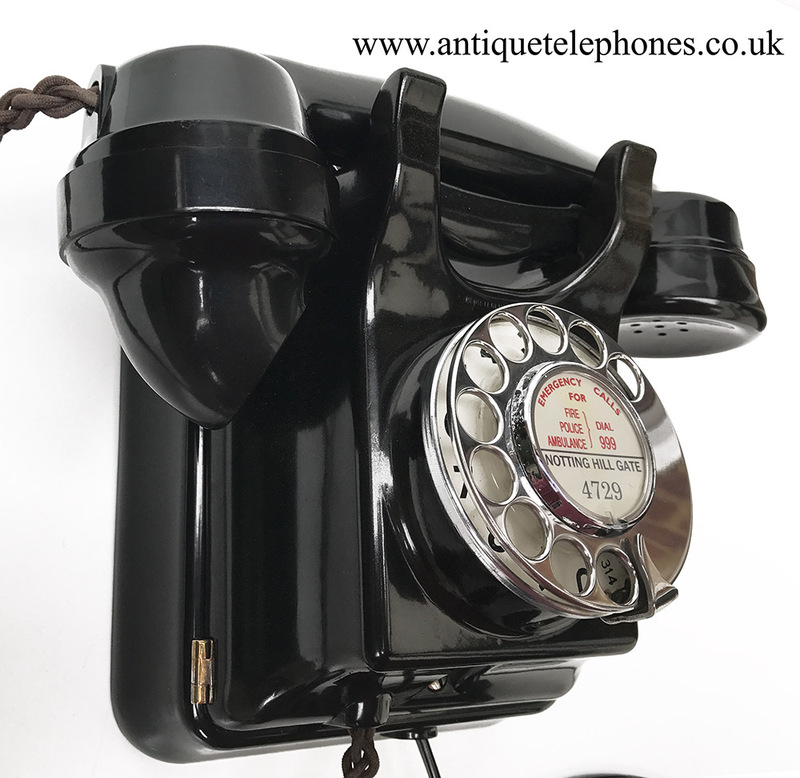 This telephone has been totally stripped down and rebuilt after each part has been cleaned and polished. 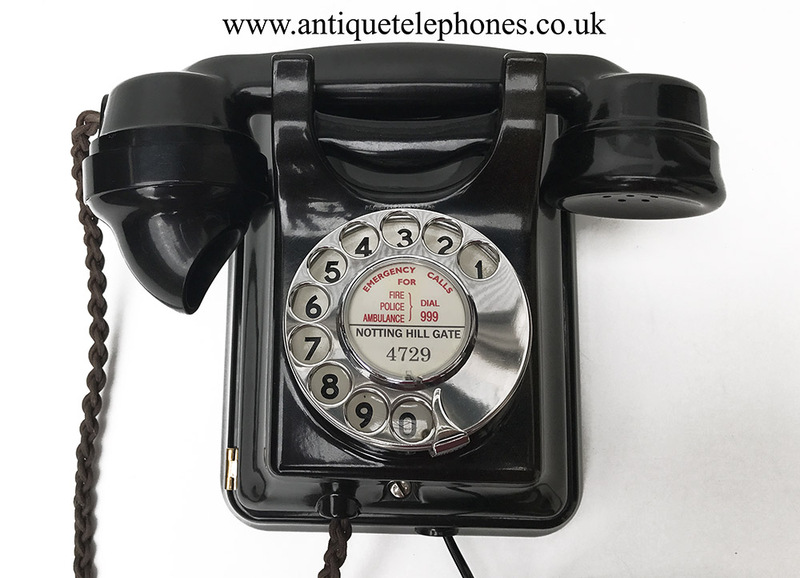 This one has been re wired using a GPO No27 induction coil and has been fitted with 4000ohm bell coils and 700 series bells. 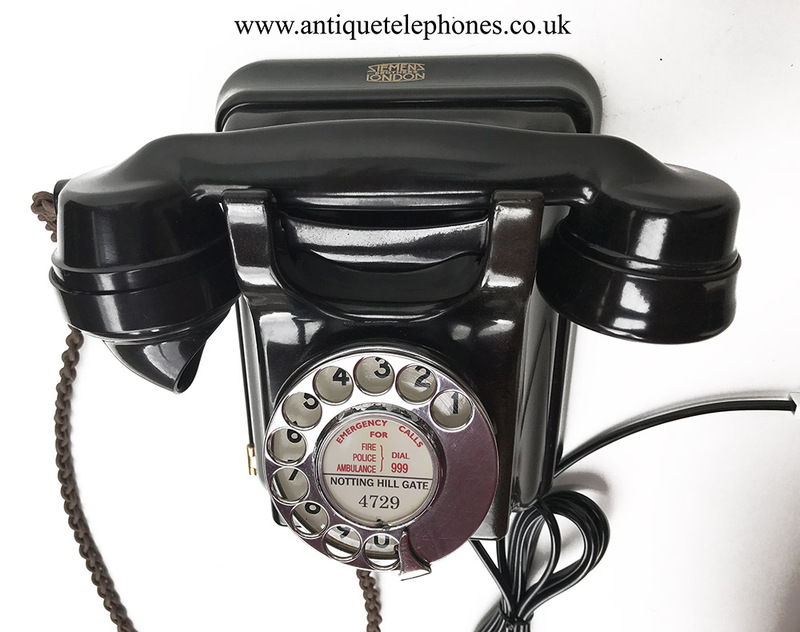 It has a genuine GPO No12 dial with figures only. 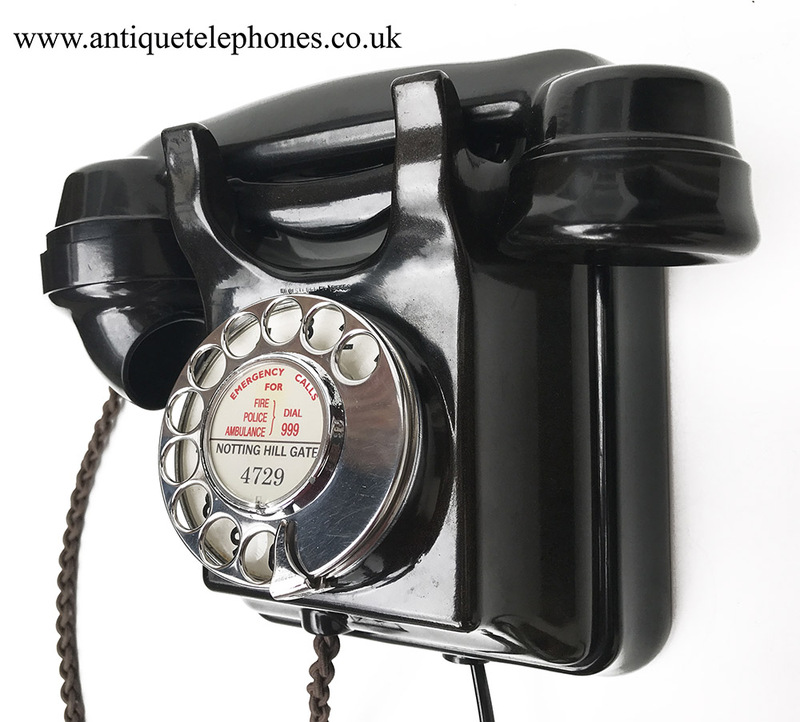 It has been fitted with a very best quality hand plaited braided handset cord, an electronic microphone and a great quality "D" shaped plastic line in cord with a UK telephone plug. Made by myself. This is a real bargain as can be seen by looking at the pictures and video. I can make a dial label with your information at no extra charge.